Back in June I wrote about the cessation of the cheque guarantee scheme and the U-turn the Payments Council had taken in relation to cheques. It was genuinely feared that cheques and cheque printing would be phased out by 2018 and be replaced with? 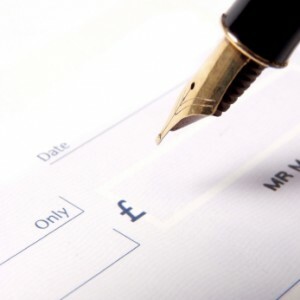 Last week I was delighted to hear and read that the Payments Council is now reviewing the re-introduction of the cheque guarantee scheme this is where cheques to the value of £50.00 and £100.00 are honoured by the Bank. Although chip and pin is very much part and parcel of our everyday lives we still have the problem of writing personal cheques for things like school trips, book clubs, subscriptions or pay the domestic plumber. 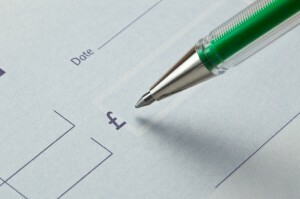 Cheque printing is still an integral part of many businesses? Many companies will pay their suppliers via BACs but there are local government departments and educational institutions who by outsourcing cheques and payments will generate manual cheques and they are an important component in their payment stream. But what if making payments by cheque and electronic means is becoming… well a bit of pain..
Printing and personalising cheques can be a costly exercise and also a security issue! The automation of payments and collections can be administered without costly software. A payments bureau is ideal for combining cheque and electronic transactions from one secure payments file and in the event of your system failing ensures that all your important payments and collections are made on time. Cheques and cheque printing along with Bacs payments can work effectively. So before we say good bye to the cheque book forever spare a thought for the importance it still retains in our everyday lives. For all your cheque and payment processing drop Digital Print Management a request to call and we can discuss the best and most cost effective solution for processing your payment! You can follow us on twitter, facebook and Pinterest. Connect with us on Linkedin and Google+ for all our updates which we hope are educational and informative. Outsourcing your payment processing to a Payments Bureau gives you the flexibility to remove the onerous task of managing a mix of cheque and electronic payments. 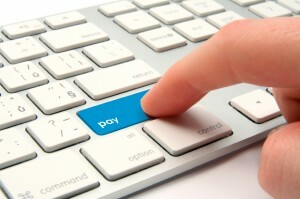 Outsourcing the process gives you the flexibility to do regular and one off payments. Why not combine your cheque and electronic payments and outsource to a payments bureau? Why Use A Payments Bureau Service? Using a Payments Bureau allows you to automate payments and collections without going to the expense of purchasing or administering software. Outsourcing this process gives you peace of mind that payments are being made at the time of your choosing. Optimising the facilities of a Bacs approved Bureau powered by Experian Payments UK Gateway is ideal for combining your cheque and electronic payments from a secure payments file. The Bureau will take care of all data files, exceptions and reporting. Using an integrated payments solution your payments can be issued from a single platform and include Bacs, Direct Debit collections with cheques and remittance advice printing and posting. Find out more about Cheques and Payment Solutions. By clicking here! Pop a request in the box for a call and one of our experts will telephone for an impartial chat! If you want to receive more updates and information about how Digital Print Management can help you with cheque printing and electronic payments requirements then please SUBSCRIBE to our mailing list. You can find us on twitter @DigitalPrintMgt Facebook.com/DigitalPrintManagementLtd. Connect with us on Google+ and linkedin for all our updates.